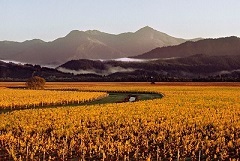 A once in a lifetime trip to the stunning wine regions of New Zealand. Our tour will begin in Auckland with a visit to the beautiful island of Waiheke, before heading southwards to Hawkes Bay, Martinborough – with visits to Napier and Wellington. We will then cross to South Island for visits to Marlborough (including Kevin Judd at Greywacke who took this stunning vineyard image of Marlborough) and Nelson region – and head south to Central Otago. Our tour will include days for rest and time to explore Wellington, Christchurch and Queenstown. You can book your own international flights choosing your preferred airline and route – or we can book this for you. The tour will be escorted by Rose Murray Brown MW. Please note this tour is fully booked, but do contact us if you wish to join our waiting list. A wine tour of northern Portugal visiting the regions of Minho, Douro, Dao, Bairrada and Lisbon. We will be basing the trip from two beautiful Portuguese cities, Oporto and Lisbon. 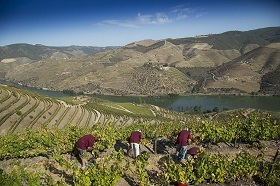 We will fly into Oporto and out of Lisbon - with coach travel to the wineries and regions. Discover the quality and diversity of dry German wines - with a focus on visiting the country's top winemakers in Mosel, Rheingau, Franconia, Pfalz and Baden. 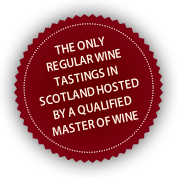 Learn how to decipher German wine labels, visit the beautiful regions and mediaeval villages - and taste some of the best Pinot Noirs in Europe. A tour of California's top wine regions: Napa and Sonoma. 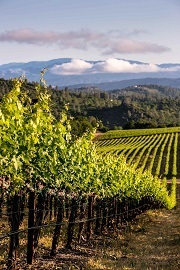 The tour will begin in San Francisco visiting winemakers in the beautiful Napa Valley and Sonoma Coast. Sample top class Cabernet Sauvignon, Chardonnay, Syrah, Merlot and Zinfandel as well as other lesser known grapes and meet the winemakers as they work their harvest. 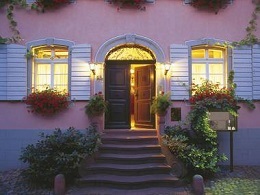 Then travel on to Oregon to visit the famous Willamette Valley and taste their Pinot Noir, Pinot Gris and Chardonnays. Back by popular demand! 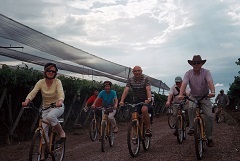 Join Rose on her second wine tour to Chile and Argentina. This South American adventure will begin in Santiago in Chile including visits to San Antonio, Casablanca, Maipo, Rapel and Colchagua valleys. We will then cross the Andes into Argentina to discover the great wines of Mendoza including beautiful Tupungato - and high altitude Salta region. The tour will finish with a free day to discover the beautiful capital of Buenos Aires with a night on the town + tango - followed by an option to visit nearby Uruguay. Get some summer sun and discover these two fast-developing wine countries, without suffering from jet lag. 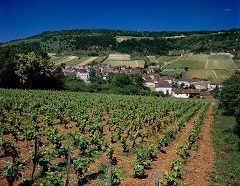 If you would prefer to visit other destinations in the wine world, please let me know your preference.